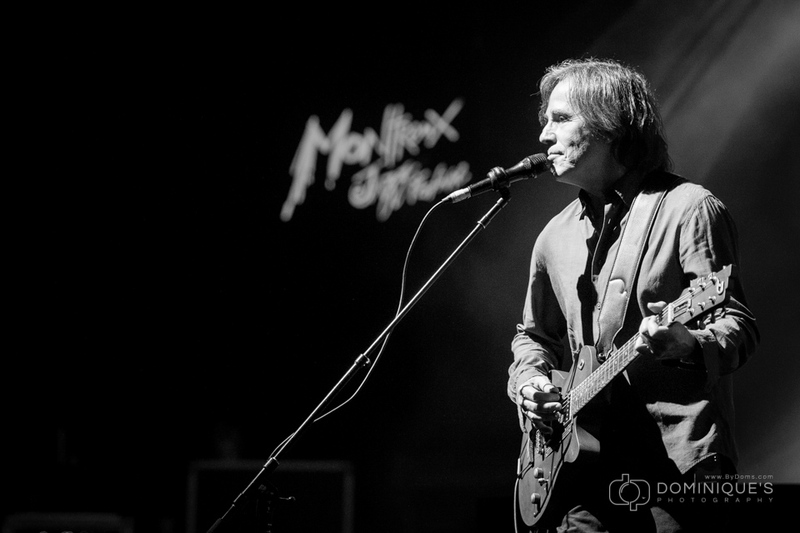 he 49th edition of the world famous Montreux Jazz Festival opened on Friday, July 3rd, 2015 in Switzerland. This almost half-a-century old music festival is not only located in idyllic Montreux on the quays of Lake Geneva with views of the Alps, it has become one of the biggest and most well-known jazz festivals in modern music history. Attracting now easily over 100’000 visitors, it provides its loyal fans with a very eclectic mix of music styles making this festival the most unique of all the jazz festivals in the world. Among the headliners of this 2015 edition are John Legend, Jackson Browne, The Chemical Brothers, Tony Bennett and Lady Gaga, Portishead, Lionel Richie, Lenny Kravitz, Carlos Santana, Herbie Hancock and George Benson. In addition to all the paying concerts, there is a very large number of free concerts at the festival of lesser-known artists which always makes for some excellent surprises. 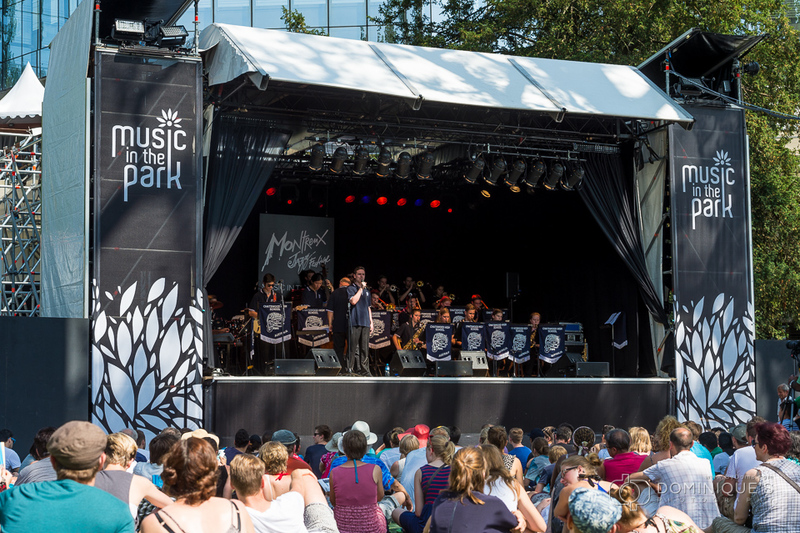 The “Music in the Park” stage is always a great place to enjoy either Jazz Big Bands in the afternoons or a generous number of lesser known artists of all music styles waiting to be discovered. This year’s opening weekend was no exception to the rule. Big Bands like the Denver Jazz Club Youth All-Stars from Colorado, Chatswood High Big Band from Sydney, Australia, St. Augustine’s Jazz Orchestra from Scarborough, North Yorkshire, UK and the Jazzschool Studio Band from Berkeley, California. In addition to these “Big Bands”, the fans loved the original Ska and Reggae music of the group, Spahni’s Dub Dancers as well as Professor Wouassa with afrobeats. 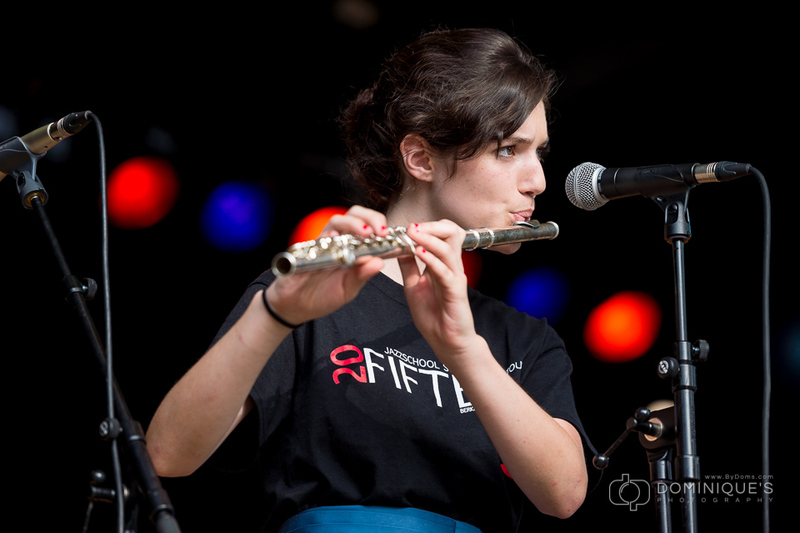 All performers easily attracted the crowds under bright sunny skies during the entire weekend. However, the extreme heat with temperatures over 35°C (95 F), rare in Switzerland, may have kept some of the usual fans at the pool or in the lake instead. Emeli Sandé from Scotland, winner of two Brit Awards (Best British Female Artist and Best British Album of the Year in 2013) opened the 49th edition of this renowned jazz festival. With her powerful voice and strong performance she succeeded in pleasing an audience in the Stravinski, the festival’s Main Hall, despite the unusual heat of the day for the unaccustomed spectators. On July 4th, Sinéad O’Connor gave her first concert at the Montreux Jazz Festival. The energy-packed singer bolted on stage with a red and white checked shirt with jeans and dark glasses. She sang combatively with her arm raised offering the public an incredibly high-powered performance. Singing numbers like Black Boys on Mopeds, I Had a Baby, If You Had A Vineyard or I Am Streched On Your Grave, she avoided her most triumphant success, Nothing Compares To You. Sinéad O’Connor was followed by the American, Jackson Browne who gave a brilliant performance. 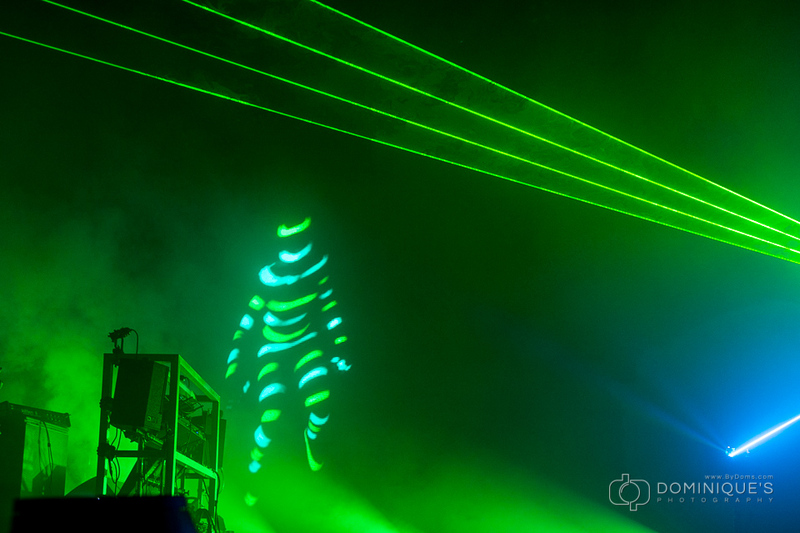 On Sunday the main concert hall was dedicated to electronic/techno music with an impressive laser show by The Chemical Brothers. In contrast to the previous year marked by a rather cold and wet edition with almost 11 days of rain, the opening weekend of this year’s festival will certainly be remembered as one of the “hottest” yet and this is just the beginning. Furthermore, regardless of the weather, this year’s Montreux Jazz Festival promises to be “hot” all by itself and will continue until July 18th.